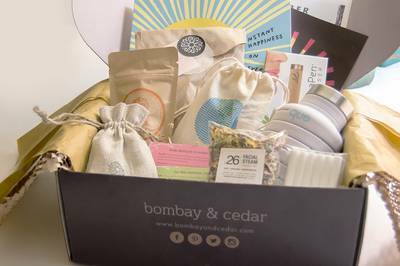 Enter your email address below to receive a notification when Bombay & Cedar starts accepting new sign-ups! 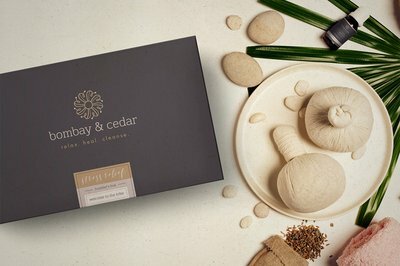 Enter your email address below to receive a notification when Bombay & Cedar is accepting new sign-ups again. 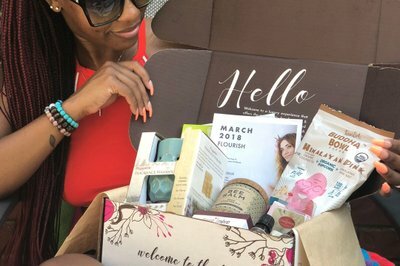 April boxes are shipping this week! 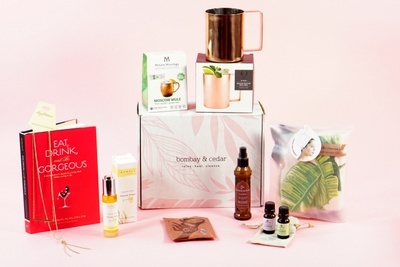 And we have a limited number of boxes that will ship in time for Mother's Day! You must order by May 1st to receive in time. 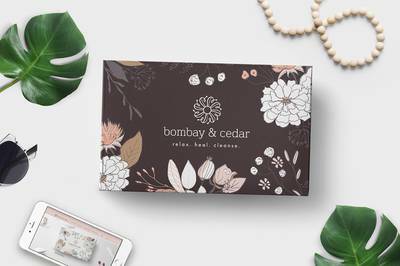 Bombay & Cedar is a monthly aromatherapy, wellness and lifestyle subscription box featuring vegan and cruelty-free products for the discerning woman who values her health, wellness, and living a life inspired. 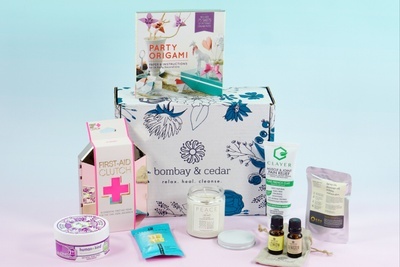 We strive to curate each box with women's health in mind! You will not be disappointed in both the quantity and quality of your products. We're partners with 1% For The Planet which means we have committed to donating 1% of our annual proceeds to help those working toward a healthier planet. You already know "There is No Planet B"! 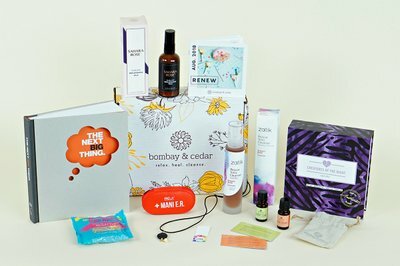 Makes the perfect gift for vegans, vegetarians, those who love unique surprises and the woman in your life who lives a life inspired. 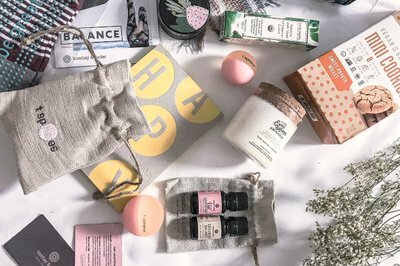 Products include: oil diffusers, books, snacks, home goods, skin care, aromatherapy, and much more! Box returned to shipper. Twice. My last review mentioned how unwilling they are to work with me, and their response proves it. They actually went into the back end and updated my box to premium for me and this is when my address was changed. No matter who’s fault it is, i have sent screenshots of the fedex shipping showing first that it was on the way back and then that it was delivered to them last Tuesday. Both facts they could have checked on their own and did not need me to show them. They should have sent another box as soon as the old one was on it’s way back to them, but as Dee stated in her response, for some unknown reason their staff has not processed the return or sent me a new box. Still. And they want to defend themselves instead of making it right by sending a box that I paid for. Also, they never “confirmed with me.” I have been asking for weeks for them to send a new box and Dee has been putting it off the whole time. Confirmed with me would be more like a joint effort of both of us coming together to work something out. I am leaving this review out of absolute frustration hoping this will help keep them responsible for the customer service they are providing but also really hoping they actually ship the box. I will update this review with the date it is finally shipped. Savannah, we are sorry that you are not happy with the way we process returns. As we discussed last week, because you entered your address incorrectly, your March box was in the process of being returned by the carrier. We told you that it would be reshipped once the return was processed. We confirmed with you just this past Friday that the box had been returned and a new box would be shipped. We also covered the additional shipping fees for you even though the incorrect address that was entered was not our error. We will follow up you via email. Thank you. 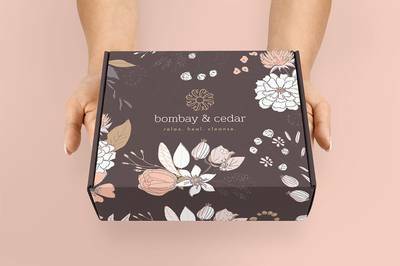 I received my first bombay and cedar March 2019 box. I was very excited to get it as I watched unboxing of other months boxes. However I was a little disappointed as I was hoping for more of a lifestyle box. Instead it had makeup and nail polish which I dont even wear. 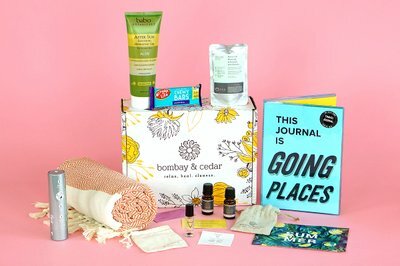 I feel as if the box was more of a glamour and beauty box which I am not interested in. 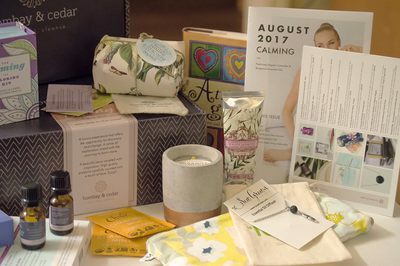 I was looking forward to more of a home and wellness box. I got two of these boxes as gifts for my friends and they were such a hit. They have such an interesting array of items and everything is of high quality. I would definitely recommend this subscription! I would have loved this box - but the smoothing treatment got smashed inside during delivery and leaked out completely. Everything in the box was salvageable save from the treatment, but the book did get a rather unhealthy dose of lotion all over it. 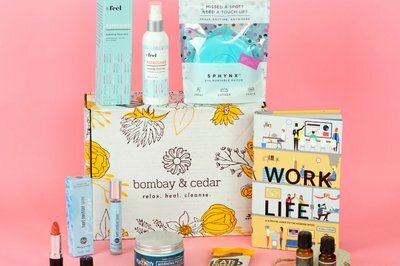 I cancelled my sub to this box for monetary reasons and had such regret after seeing reviews of the one box I missed. Never again missing out on this amazing subscription. 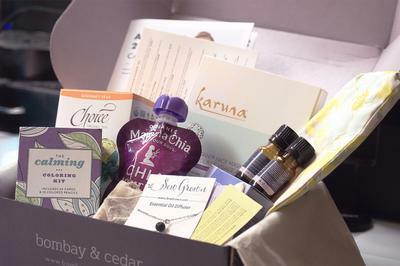 The January Cleanse box is my favorite of any subscription I have ever received. Each item is useful, but unique and exciting. The variety of curation is unmatched in the sub box world. 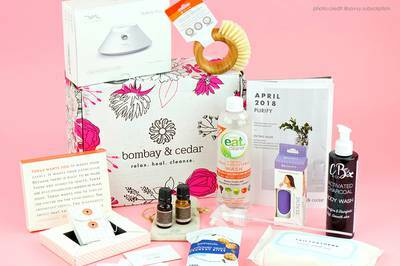 The mix of home decor, aromatherapy, beauty, health and wellness, gourmet food and drink... incredible variety while still feeling curated and cohesive. I purchased a 3 month subscription to this box as a christmas gift for someone. They never received the first or second box. I have contacted outside of this review twice to cancel the subscription and have not heard back, nor have I received any e-mails within my junk inbox. Laura We've sent you an email asking when and where you sent your previous correspondence. Our apologies, but we do not have any messages from you. 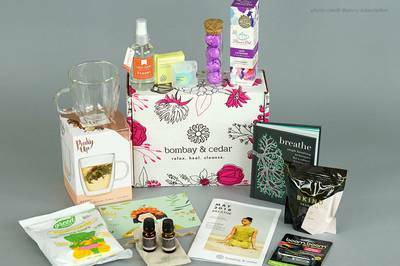 Your first box will be shipped between January 15th and 20th per our normal monthly schedule. 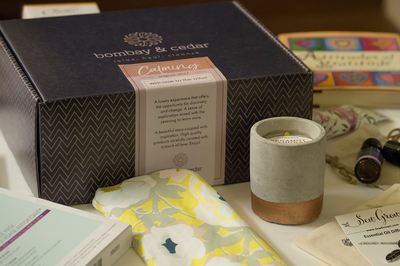 Please email hello@bombayandcedar.com if you have further questions. I placed an order dec 13th which the cratejoy website showed it would arrive by Christmas. My card was quickly billed, and now it is dec 20 and I still have not heard a word from them or received shipping confirmation. There have been three messages sent to you since you placed your order. I'm listing detailed information here because it seems you are not getting our emails. Thu, Dec 13, 4:03 PM - Our deadline for delivery by Christams was 12/12. 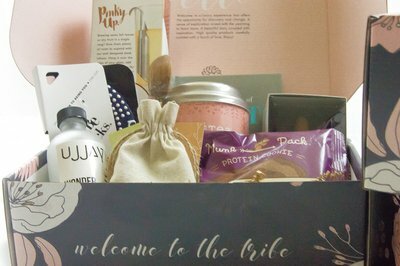 As a courtesy we asked if you wanted to start with our December box instead of January. We received no response. Wed, Dec 19, 8:53 PM - We responded to your inquiry that was sent Wed, Dec 19, 12:51 AM. We received no response. Today 2:57 PM - We responded to your inquiry that was sent Today at 2:52 PM. A few minutes later we received notification of this 1 star review. Please also check your spam folder for our responses. I really love this box, such a great value for the deluxe box. I love your choices that you decide to put into each and every month. I love the oils, I have not been disappointed yet great combinations. Your Customer Service representative Dee is always on hand to answer any questions or concerns in a timely manner. I highly recommend this box!!! I absolutely love this subscription!!! The throw blanket in this past month's box was so beautiful, such a good value for what you pay. Everything is useful, and encourages self care which is so important. I highly recommend subscribing!